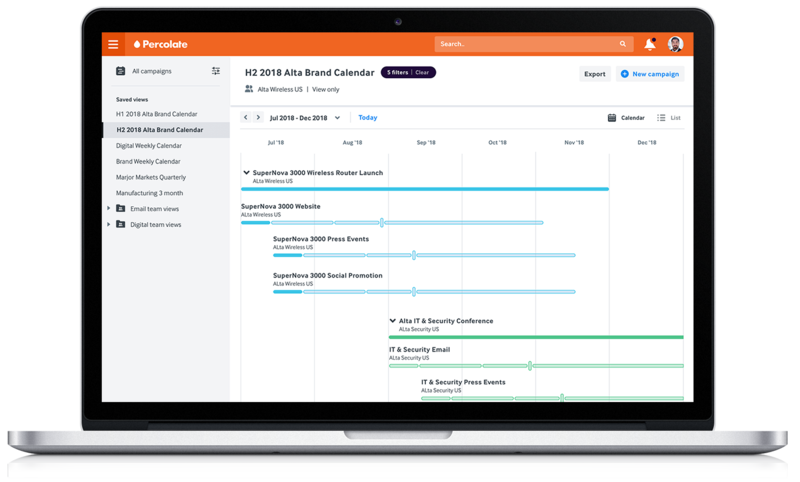 Build and manage your complex marketing programs and easily organize integrated campaigns. Standardize your workflows and production schedules to understand how deliverables are pacing against milestones. Mandate the required steps for producing any marketing materials, to enable greater operational rigor across your teams. Provide visibility into what your marketing team has planned and report on the impact made to the rest of the organization. 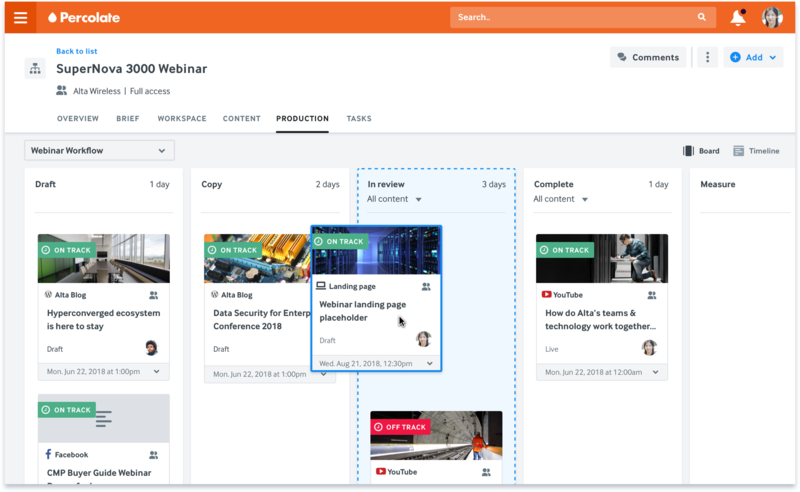 Mirror your organization’s structure in Percolate and increase capacity to enable the production of great content at scale. Learn how your organization can use Percolate to improve marketing operations and increase content capacity.